Ok, there is never ever enough space for storing things in your apartment in Hong Kong. Daily necessities such as mail, remotes and grocery take up real estate on our tables. Luckily 3M command strips come with many options to increase vertical space. There are too many remotes for new gadgets nowadays and we often find ourselves asking, “Where is the remote?” For us, we found it useful using a couple of 3M command strips to prop up our a/c remote holders. We placed it next to our light switch to remind us where we should put them at all times. My side of the bed is against the wall and I don’t have room for a side table. Sure I have placed it on my windowsill numerous times, but do you know how many times my phone has fallen down? 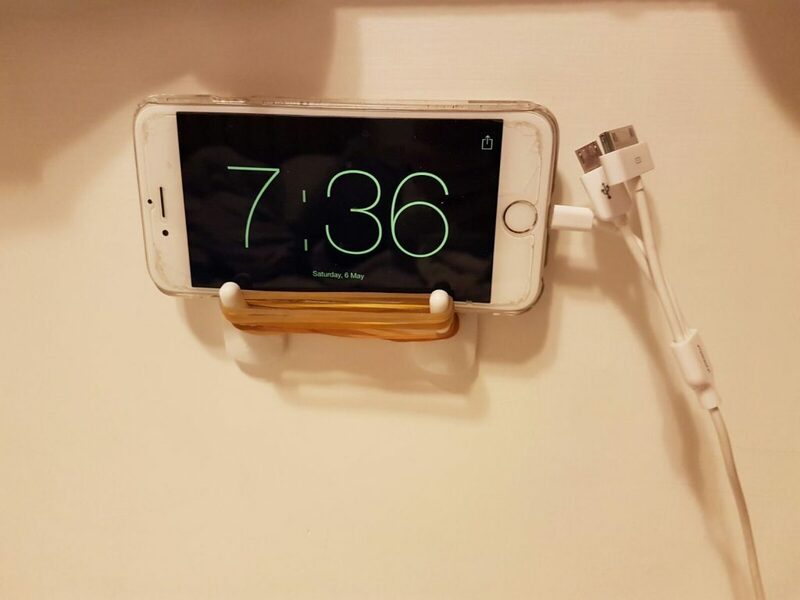 So, I placed a couple of 3M hooks on the wall, used rubber bands for traction and viola – instant phone holder. Yes! 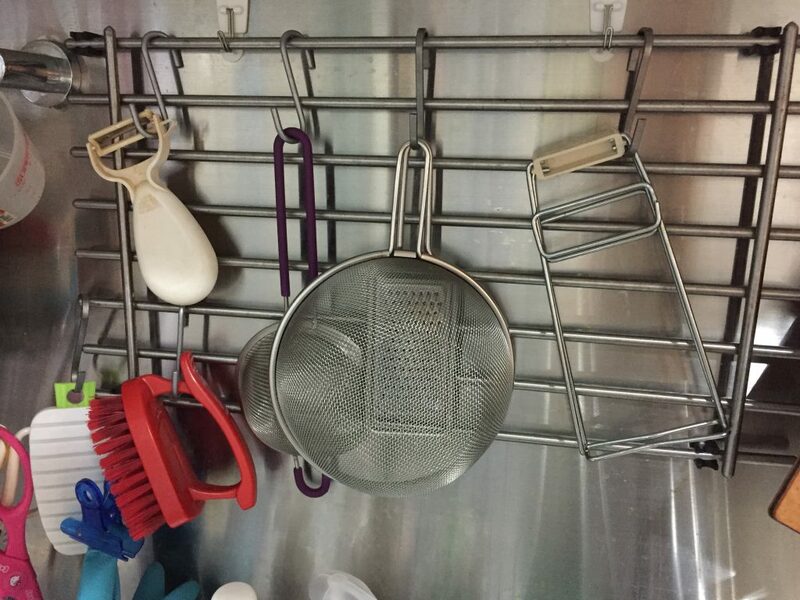 You can use them on their own to hang cooking utensils or use a metal grid (a metal trivet for us) to create more opportunities to hang high use items up. We like this because it serves as a place to hang dry our utensils and is easily accessible when we are in the kitchen. 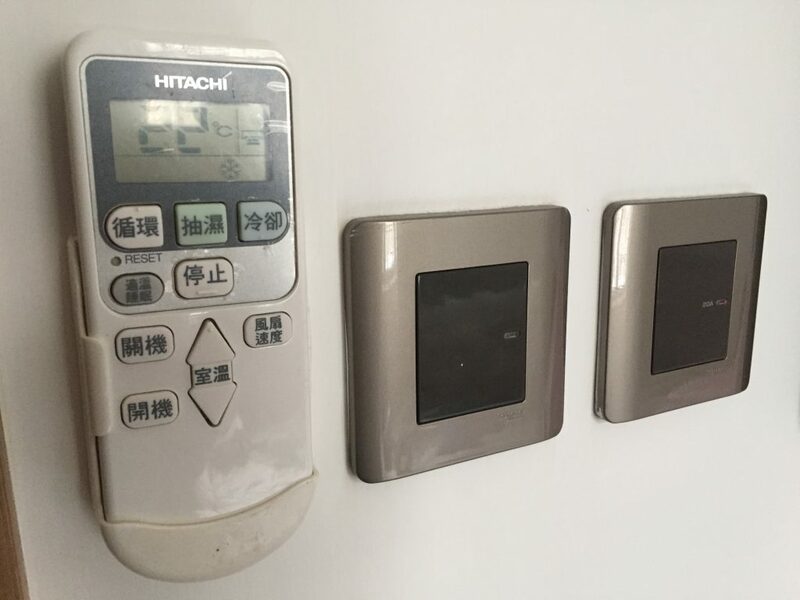 In Hong Kong apartments, you will always have a window that faces your building’s light well. Many landlords don’t bother to install curtains for such a window. 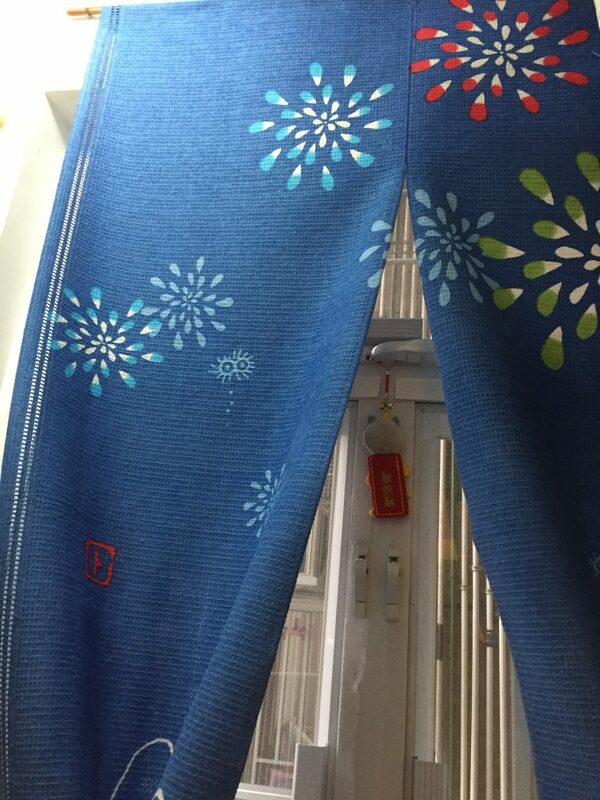 So, rather than looking out to nothing, we used a couple of 3M hooks and a wooden dowel to hang a Japanese Window Curtain. Remember, it is nice to have something good to look at. 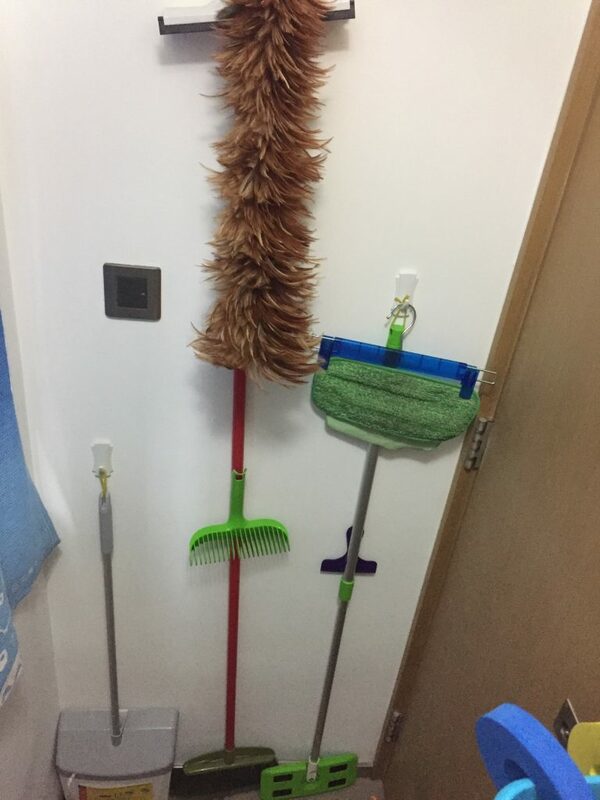 When living in a small apartment, a few cleaning tools are all you need. So it makes a lot of sense to hang them up on a wall where it takes up practically no footprint. We keep ours behind the door of a our storeroom. 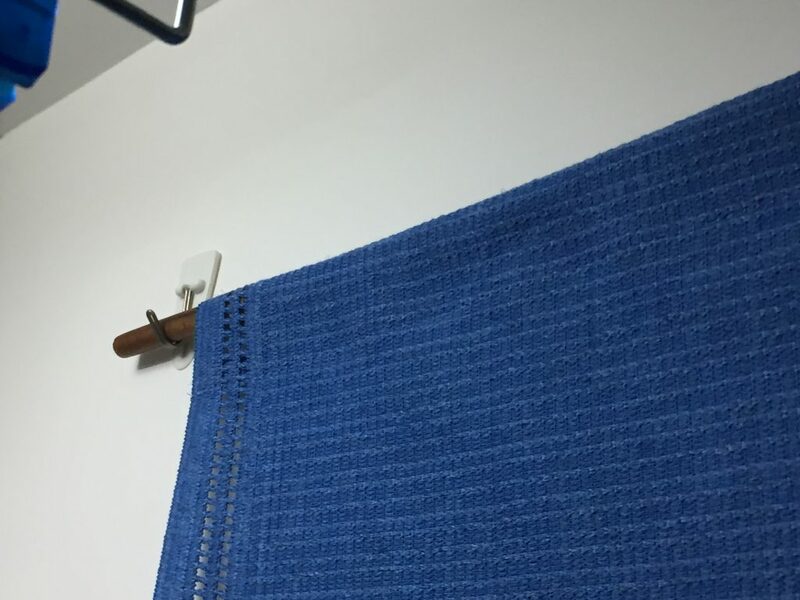 There you have it, our 5 space saving Command Strip hacks we can’t live without in Hong Kong. 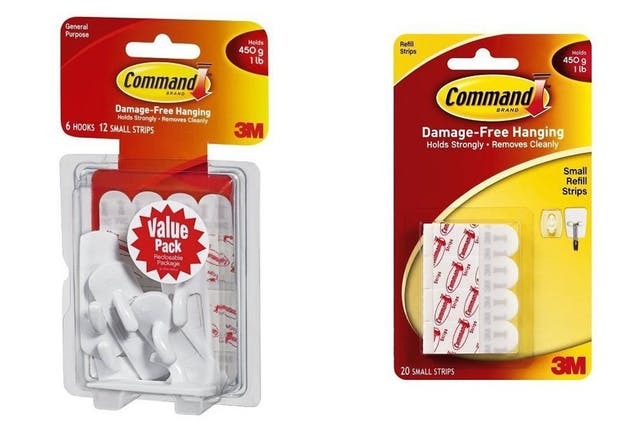 If you live in a small space, leave a comment on other 3M command strip hacks you have used.